Through most of it’s history, ASI has been closely associated with Bell Helicopter Textron helicopters and the Rolls-Royce (Allison) Model 250 engine series both as an owner/operator and as a provider of maintenance, repair and overhaul solutions. The ASI name has evolved over the years. With name changes there have also been other associated companies and organizations. Recently ASI has started to rebrand itself once again as Air Services Int’l., LLC. The Air Services name is the most recognizable and descriptive of the organization and its roll. Air Services Int’l., LLC (ASI) relaunches a newly redesigned and updated website, www.asiservices.com. 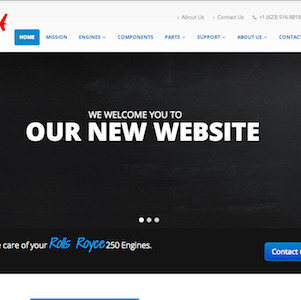 The updated website for Air Services Int’l., LLC (ASI) focuses on services and support for Rolls-Royce (Allison) M250 engines and component services for Bell Helicopter models. 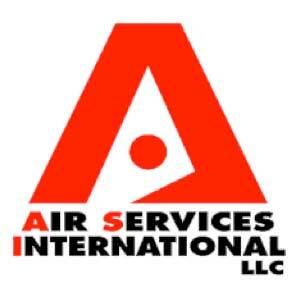 Air Services Int’l., LLC (ASI) introduces two new logos in October 2012. 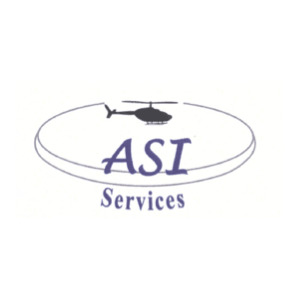 One logo, inspired by the helicopters ASI supports, is designed for use with ASI’s component services. The other logo, reminiscent of the blades on a turbine engine wheel is designed for use with ASI’s turbine engine services. Air Services Int’l., LLC (ASI) launches a new website at www.asiservices.com along with a new logo. ASI updated its logos again in 2012 with two modern and high visibility designs. 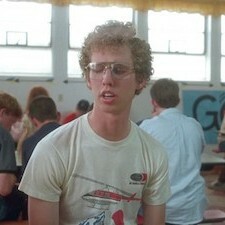 The movie “Napoleon Dynamite” opened on January 17, 2004. The main character, Napoleon sports and Air Services Int’l., LLC (ASI) t-shirt. 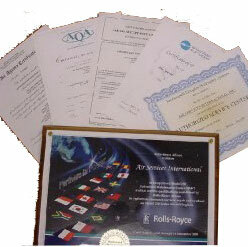 Rolls-Royce recognizes Air Services Int’l. (ASI) maintenance and service with an AMC Family Teamwork Award. The award is designed to recognize AMCs that go out of their way to serve the best interests of Model 250 operators. The Helicopter Association International (HAI) recognizes Air Services Int’l., LLC (ASI) for its 25th membership anniversary on September 21, 1996. 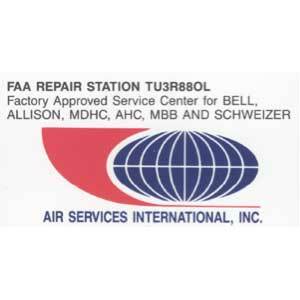 Allison (now Rolls-Royce) approved Air Services Int’l. (ASI) as an Allison Maintenance Center (AMC) for supporting and servicing the Allison Model 250 turbine engine series. 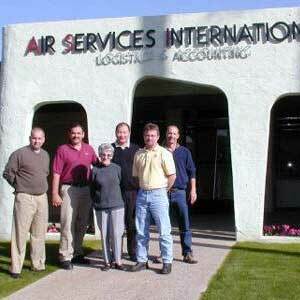 Arizona Aeroparts International, Inc. (AAI) is formed as a subsidiary of Air Services Int’l., LLC (ASI). AAI manufactured PMA parts for light and medium Bell Helicopter models. The Helicopter Association International (HAI) recognized Air Services Int’l., LLC (ASI) for flight safety. This was the second time ASI was recognized by HAI for flight safety. FAA issues STC #SH296NM to Air Services Int’l., LLC. (ASI) for installation of an Allison 250-C30P turboshaft engine in a Bell 206L-1 LongRanger. ASI has developed numerous improvements to helicopters, improvements that in many cases became standard upgrades by the OEMs. Click here to learn more. The Helicopter Association International (HAI) recognized Air Services Int’l., LLC (ASI) with its prestigious award for flight safety. Air Services Int’l., LLC (ASI) relocates into a 33,000 square foot facility at the Scottsdale Municipal Airport to support its expanding helicopter and maintenance operations. 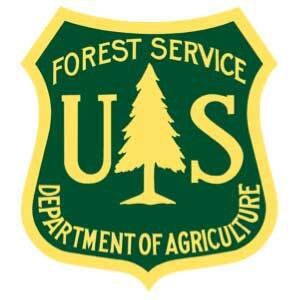 The U.S. Forest Service project “Helicopter Night Operations” makes the first operational test of night vision goggles (NVG) for night time fire fighting with helicopters. An Air Services Int’l., LLC (ASI) Bell 212 serves as the training and test aircraft. The Peruvian Air Force contracted with Air Services Int’l., LLC (ASI) from 1975 through 1977 to remanufacture military helicopters. ASI also provided maintenance training for the Peruvian Air Force technicians. 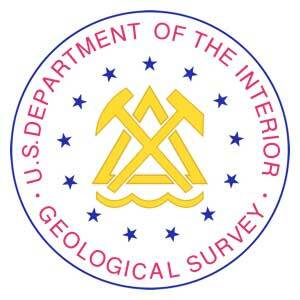 U.S. Geological Survey (USGS) awarded a contract in June of 1973 to Air Marine, Inc., a subsidiary of Air Services Int’l., LLC (ASI) to supply seven helicopters and crews. ASI helicopters transported USGS inspectors to offshore oil drilling platforms along the Louisiana coastline. Throughout the 1970’s Air Services Int’l., LLC (ASI) furthered its overseas operations in many areas including: Indonesia, Laos, Chile, and Brazil. Air Services Int’l. 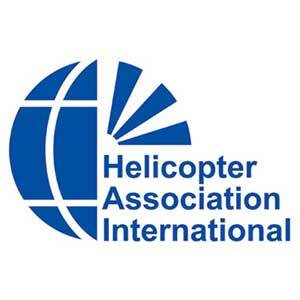 (ASI) joined the Helicopter Association International (HAI) on September 21, 1971. 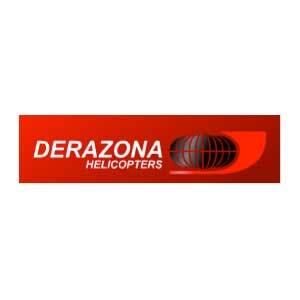 Air Services Int'l., LLC and strategic partner PT Deraya established an Indonesian affiliate PT Derazona Air Service (combining the two company names) to provide helicopter services for offshore and jungle operations. With PT Derazona the group supported companies including: Arco, Iiapco, Gulf, Sun, and Philips. Derazona and Derya continue to operate today, but are no longer associated with ASI. 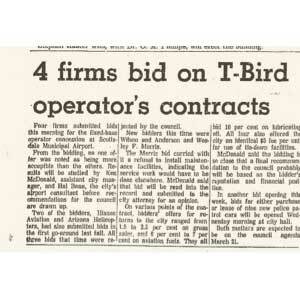 By late 1971 the organization starts to use the name Air Services International (ASI). 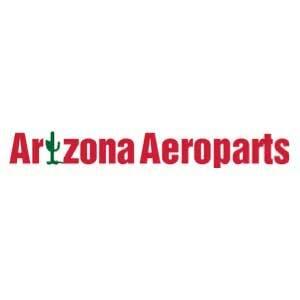 The company is formally incorporated on June 9, 1972 in the State of Arizona. 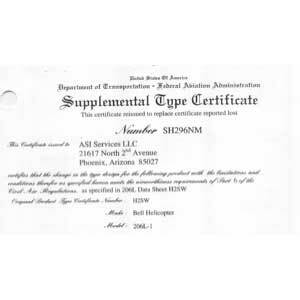 Eventually the other companies including Arizona Helicopters Inc., Lazy-8, Scottsdale Aviation Inc., and Southwest Airlines Inc. were consolidated under this single globally recognized brand. Senator (and 1964 Presidential candidate) Barry Goldwater is certified as a helicopter pilot at the Scottsdale Municipal Airport. 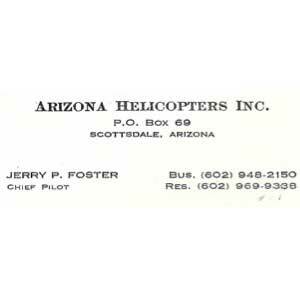 Senator Goldwater received helicopter flight instruction from Jerry Foster, Chief Pilot for Arizona Helicopters Inc. (now Air Services Int'l, LLC). 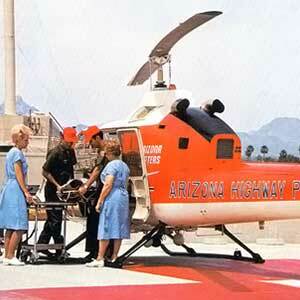 Senator Goldwater also used an Arizona Helicopters’ Bell 47 to certify. 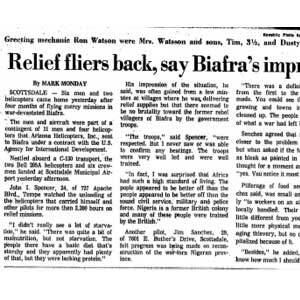 Arizona Helicopters Inc. (now Air Services Int'l., LLC) Bell 205A1 helicopters and crew return from a USAID mission to Biafra region of Nigeria, Africa on June 10, 1970. The mission was to originally last only two months. 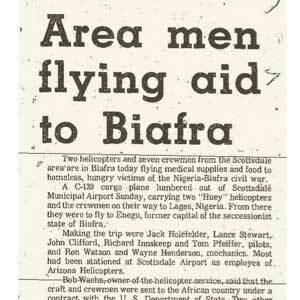 Under contract from the U.S. Agency for International Development (USAID), Arizona Helicopters Inc. (now Air Services Int'l., LLC) deployed two Bell 205A1 helicopters with pilots and crew to the Biafra region of Nigeria, Africa on February 1, 1970. The aircraft were used to fly medical supplies, nurses, doctors, food and clothing to the region which had suffered a civil war. 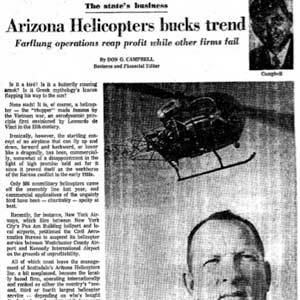 Arizona Republic newspaper article on November 16, 1969 lists Arizona Helicopters Inc. (now Air Serices Int'l., LLC) as one of the four largest helicopter service companies in the United States. Headquartered in Scottsdale Arizona the company had branch offices in the Grand Canyon, Chandler (Arizona), Ciudad Obregon (Mexico), Katmandu (Nepal), and Bombay (India). 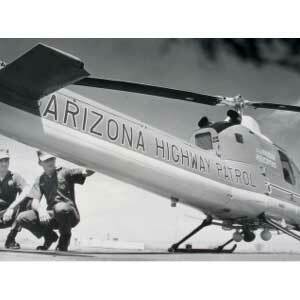 At this time in 1969 Arizona Helicopters owned and operated over 60 aircraft, 30 of which were helicopters. The helicopter fleet included multipe Bell 47's and Bell 206A JetRangers, two Fairchiled-Hiller FH-1100, and three Bell 205A1 helicopters. 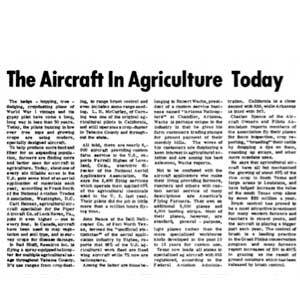 Red Bluff Daily News article on aviation agriculture published on November 8, 1969 cites that 7% of aerial application aircraft in the U.S. are helicopters. Arizona Helicopters Inc. (now Air Services Int'l., LLC) is noted as one of the larger operators of helicopters for agriculture applications. A little over one month after the start of the Aeromedical Evacuation Service (AMES) program, a total of 67 missions and 14 medical evacuations by Arizona Helicopters Inc. (now Air Services Int’l., LLC) Allison 250-C18 powered Fairchild-Hiller FH-1100 helicopters and crew. In June of 1969, three helicopters from Arizona Helicopters Inc. (now Air Services Int’l., LLC) participated in operation Shangri-la. 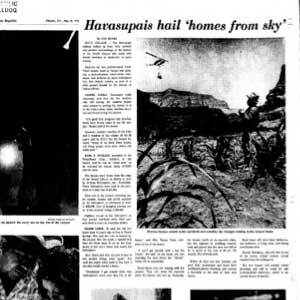 The helicopters airlifted five, two bedroom, homes to the Havasupai Indian community of Supai. 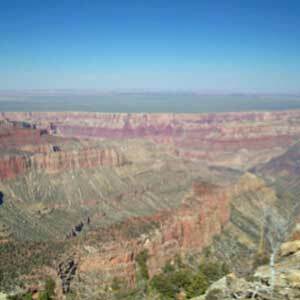 The Supai community is located in the bottom of the Grand Canyon. 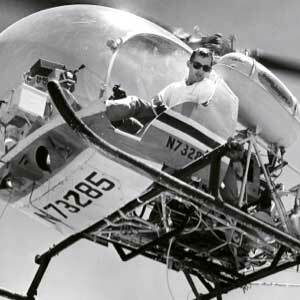 In May of 1969 a six-month test program called Air Medical Evacuation Service (AMES) was launched. The AMES program was a cooperative venture between Arizona State University, Arizona Highway Patrol, U.S. Department of Transportation, and Arizona Helicopters Inc. (now Air Services Int’l., LLC). 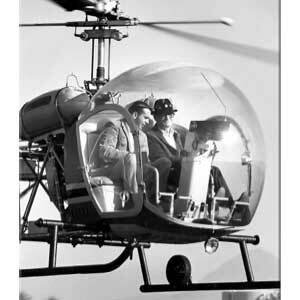 AMES was the first civilian emergency medical services program using helicopters. Two Allison 250-C18 powered Fairchild-Hiller FH-1100 helicopters and pilots were provided by Arizona Helicopters for the program. AMES officially launched on Memorial Day (May 26), 1969. Arizona Helicopters Inc. (now Air Services Int’l., LLC) expanded its U.S. Agency for International Development (USAID) contract in Nepal with the addition of a turbocharged H-295 Helio Courier. The new aircraft arrived at Kathmandu in November of 1968. Helio Couriers are well known for their short takeoff and landing (STOL) capabilities, drawing comparisons to helicopters in their ability to operate in limited areas. Southwest Airlines Inc. (later consolidated into Air Services Int’l., LLC) is founded in 1968. Operating out of the Grand Canyon National Park Airport with a Bell 47G, an Allison 250-C18 powered Bell 206 JetRanger, and assorted fixed-wing aircraft. Southwest provided sightseeing and tourism related aviation services in the Grand Canyon, the greater Phoenix area, and the Mexico-United States border area. During the summer of 1967, Arizona Helicopters Inc. (now Air Services Int’l., LLC) operated two helicopters under contract with the U.S. Forest Service. 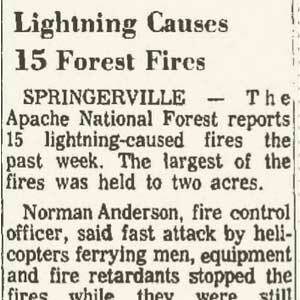 The helicopters provided support for fire fighting operations in the Apache National Forest. 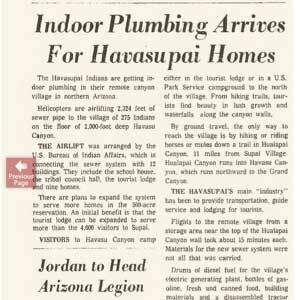 In June of 1967 Arizona Helicopters Inc. (now Air Services Int’l., LLC) airlifted 2,324 feet of sewer pipe to the Havasupai Indian community of Supai located in the 2,000 foot deep Havasu Canyon (part of the Grand Canyon). 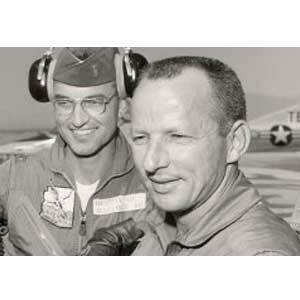 In early June of 1967, Robert "Tug" Wachs’ group of companies including: Arizona Helicopters, Lazy-8 Flying Service, and Scottsdale Aviation relocated to Thunderbird Field (T-Bird) in Scottsdale. Scottsdale Aviation Inc. opened in June 1967 as the first and sole fixed base operator for Scottsdale Municipal Airport. The combined operation brought 25 employees, 16 helicopters, and 10 fixed wing aircraft to the Scottsdale Municipal Airport. 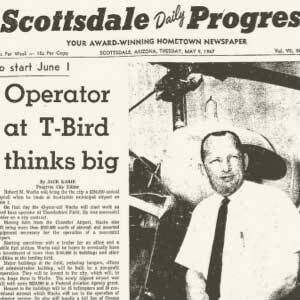 The Scottsdale Daily Progress newspaper published on Friday, April 28, 1967 that Robert “Tug” Wachs had returned from Nepal to sign the T-Bird 10 year lease agreements with the City of Scottsdale as the first (and sole) fixed base operator (FBO) for the Scottsdale Municipal Airport. The FBO operated under the name Scottsdale Aviation Inc.
Robert “Tug” Wachs visits Kathmandu, Nepal in April of 1967 to deliver two helicopters and an airplane. The aircraft operated in Nepal as part of Arizona Helicopters Inc. U.S. Agency for International Development (USAID) contract. Scottsdale Aviation Inc. is established in the spring of 1967 by Robert “Tug” Wachs to bid the City of Scottsdale T-Bird contract. 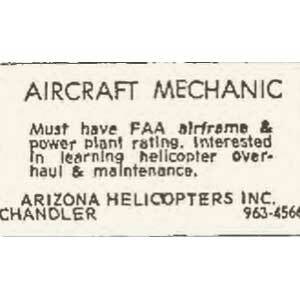 Arizona Helicopters Inc. (now Air Services Int’l., LLC) has advertised for many employment opportunities over the years. One example appears in the Saturday March 18, 1967 edition of the Arizona Republic. Read more, click here. 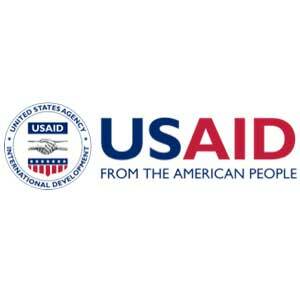 Arizona Helicopters Inc. (now Air Services Int'l., LLC) wins a contract from the U.S. Agency for International Development (USAID) contract to supply avaition services in Nepal. Two turbocharged Bell 47G3-B1 helicopters and crews are sent to Kathamndu, Nepal. Arizona Helicopters Inc. (now Air Services Int'l., LLC) begins branch operations to support the tourist industry from the Grand Canyon National Park Airport in 1966. Southwest Airlines Inc. is formed in 1968 and takes over from Arizona Helicopters to provide tourism related services using both helicopters and fixed-wing aircraft. 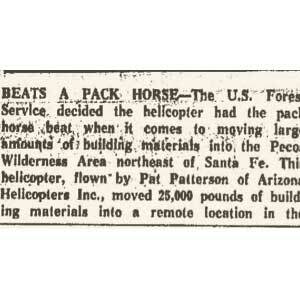 U.S. Forest Service contracts Arizona Helicopters Inc. (now Air Services Int'l., LLC) during the summer of 1963 to move 25,000 pounds of building materials into the remote Pecos Wilderness Area northeast of Santa Fe, New Mexico. Piloted by Pat Patterson, the helicopter was able to move materials into areas where wheeled vehicles were terrain prevented access and also where vehicles were prohibited. The New Mexico State Game & Fish department use a contracted helicopter for the first time to plant fish in remote lakes. 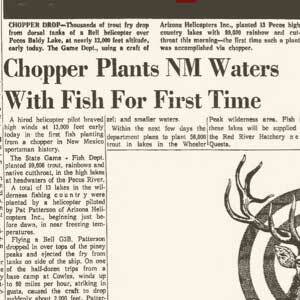 With helicopter services provided by Arizona Helicopters Inc. (now Air Services Int’l., LLC) a Bell 47G-3B piloted by Pat Patterson planted 99,000 trout, rainbows, and native cutthroat fish in 13 different lakes at the headwaters of the Pecos River. 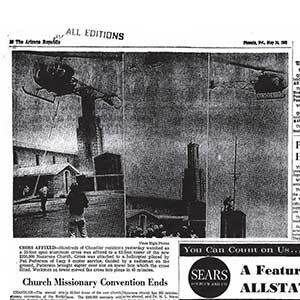 On Thursday, May 23, 1963 a Lazy-8 Copter Service (later known as Arizona Helicopters and then Air Services Int’l., LLC) Bell 47 piloted by Pat Patterson lifted a 23-foot spun aluminum cross on top of a 65-foot tower of the Nazarene Church in Chandler, Arizona. Many of the 300+ delegates attending an annual missionary convention observe as the helicopter and crew installed the cross. The Nazarene Church was brand new in 1963. 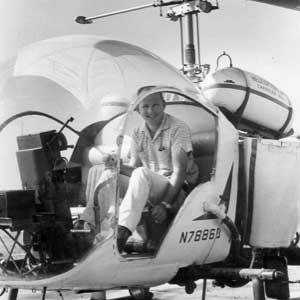 Believing that helicopters were provide many advantages over fixed-wing aircraft for agricultural applications, Robert “Tug” Wachs committed to expand Lazy-8’s capabilities by purchasing a Bell 47 helicopter and establishing Arizona Helicopters Inc. (AHI) in 1961. Arizona Helicopters grew rapidly to provide helicopter services around the world and was later rebranded into Air Services Int’l., LLC. 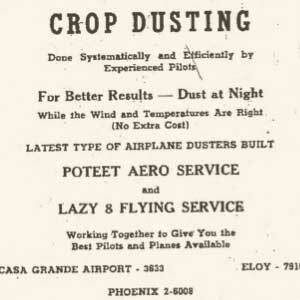 Lazy-8 Flying Service advertises night time crop dusting services in the Casa Grande Dispatch newspaper. Lazy-8 utilized Steerman trainers and J-3 Cubs. Lazy-8 Flying Service advertises night time crop dusting services in the Casa Grande Dispatch newspaper. 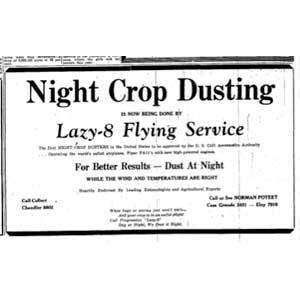 The advert claims that Lazy-8 is the first night crop dusting approved by the U.S. Civil Aeronautics Authority, the precursor to today’s Federal Aviation Administration. 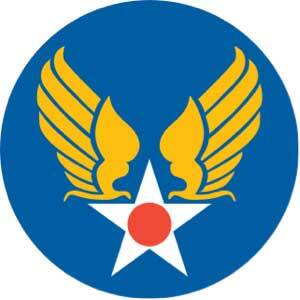 Under the leadership of Robert “Tug” Wachs, Lazy-8 Flying School was rebranded as Lazy-8 Flying Services in 1948. 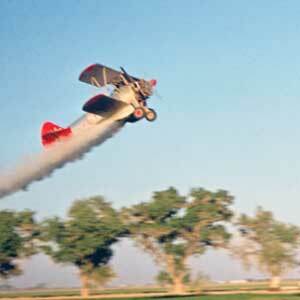 Flight training remained an important part of the business for many decades, but new areas including aerial applications for agriculture were introduced. This strategic move led to the growth of Lazy-8 and the establishment of related business, including: Arizona Helicopters Inc (1961), Scottsdale Aviation Inc. (1967), Southwest Airlines Inc. (1968), PT Derazona Air Service (1971), Air Marine Inc. (1973), Arizona Aeroparts (1991). Most of these companies were consolidated under the globally recognized brand Air Services International in the early 1970’s. Robert “Tug” Wachs relocated to Chandler, Arizona in 1947. He began working for Lazy-8 flying school as a flight instructor. Lazy-8 Flying School was founded in 1946 at the Chandler Airport. 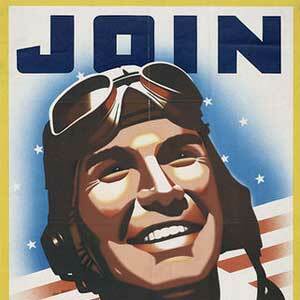 Many servicemen returning from WWII take advantage of the G.I. Bill to learn how to fly through the Lazy-8 school. Robert "Tug" Wachs was honorably discharged from the U.S. Army with the rank of Captain in 1946. 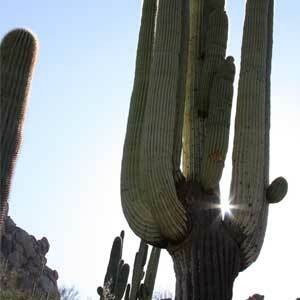 He returned to his home to Arizona. 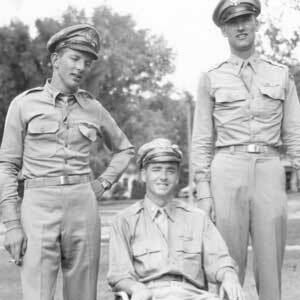 Robert "Tug" Wachs entered the U.S. Army Air Force and became a B-17 "Flying Fortress" pilot. He was stationed in England with the 8th Air Force during the war and earned a Distinuished Flying Cross for bravery over Nuremberg. Less than a month before his 17th birthday, Robert “Tug” Wachs enlisted in the U.S. Army on September 9, 1940. 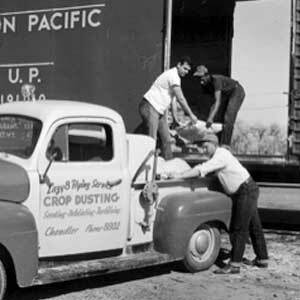 The Wachs family relocates from Milwaukee to Tempe, Arizona in 1926. 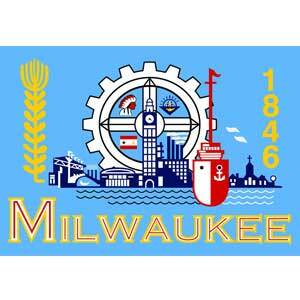 Air Services International founder Robert M. "Tug" Wachs was born on October 1, 1923 in Milwaukee, Wisconsin.